Today’s comic is by Christopher of Christopher! 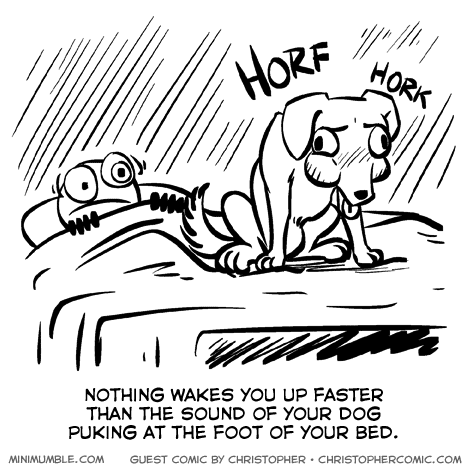 Same with a cat… Actually worse, cause sometimes the cat is lying right by your head while doing it. ON the foot or AT the foot of the bed? Either way, ew! My cat was sleeping on top of me with his head on my ear when he started horking. No human has ever moved faster out of a sound sleep.